A lot of people have asked me about my Wombot Exilis XL 3D printer experience since I ordered it almost a year ago. Why have I been so hesitant to talk about it? First some specs and technical details. This machine cost me $1,100 CAD delivered to Canada. Right now on Amazon it is US$649+$211 shipping. 250mm x 250mm heated bed with glass. Mk8 clone “All metal” hot end with 0.4mm brass nozzle. PLA 3d Printed parts (recently the company switched to some injection moulded parts, I am told). In the box: Printer, spool holder, 3 pieces of sample filament, a lot of broken plastic, power supply (with the wrong power cable for my country), and a lot of packing nuts. Let’s compare these specs to my favourite printers, the Original Prusa i3 Mk2, and the Wanhao Duplicator i3. Price: Wombot is not very competitively priced, considering the greater value options out there. The Prusa Mk2 kit is US$699+$73 shipping, or $200 more for pre-built and thoroughly calibrated and tested. You can get the Monoprice Maker Select branded version of the Wanhao Di3 right now at Amazon for $260 with free shipping. The larger, also aluminium extrusion + BLTouch based TEVO Black Widow is $560 with free shipping. Build area: Wombot is slightly larger in one dimension than the Prusa (250mm x 210mm), and larger in both dimensions than the Wanhao (200mm x 200mm). Hot end: Prusa has way better quality parts, especially the genuine E3D hot end. Both Wanhao and Wombot use all Chinese knock-off parts so they draw for second. The Wombot, though, has PTFE liner so my upgraded Wanhao with Micro Swiss beats it. Electronics: Prusa uses a genuine RAMBo mini board, both Wombot and Wanhao use Chinese knock-off electronics. That said, the Wombot board failed and the Wanhao is still going strong. Construction: All three are metal construction, with Wanhao having the most metal, but strangely Wombot chose to go with weakly printed PLA, so almost all of the parts either broke during shipping or after use. Wombot for the fail. 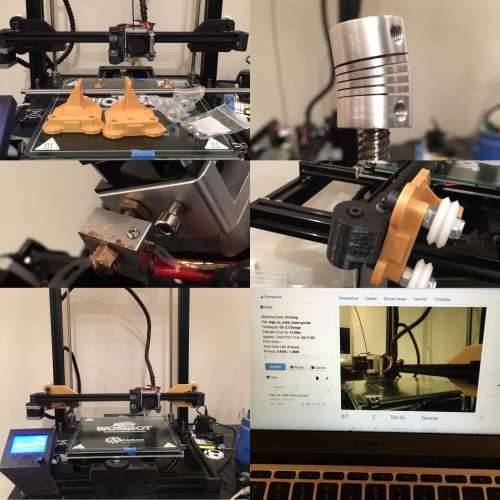 Prusa is open source, Wombot has some printed parts on Thingiverse, but the excellent UNofficial FB group has upgraded parts and fills in the parts that you can not download from official sources. Prusa wins. Bigly. Controls: All three have LCD control. Prusa wins on advanced, friendly features, such as live Z gap adjust. Unboxing: Prusa, of course, wins with their beautifully packaged, documented, and accessorized product. True professionalism. 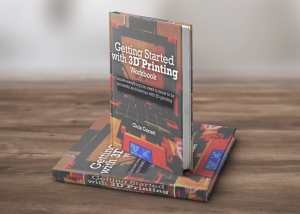 Wanhao is no slouch, with tools, printed manual, and great packaging. Wombot didn’t provide any of that. Considering it was the most expensive, all they provided was three pieces of tangled sample filament … that didn’t bode well for what was to come next. 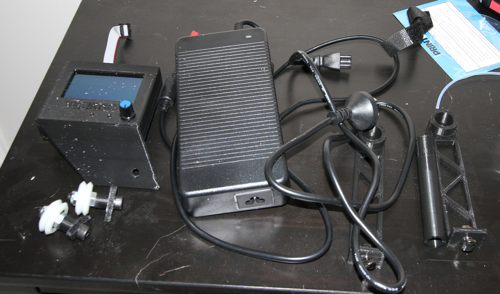 What came with the printer – Power supply (with the wrong cable), LCD display, spool holder, filament samples, and sadness. Now, let’s get into what I do not like, and why I tend to not mention this printer by its brand name. 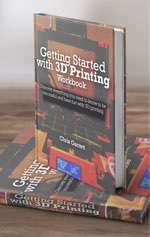 I had 11 months of buyer’s remorse with this printer and only just got it printing reliably. Every time I thought I had it working, I found something else broken or wrong. While I could have written a rant months ago, I waited until I had it working to write a review, partly because I didn’t want to say something I would regret. Yes, that’s right, it took 11 months to get working, and only then with the help of unofficial channels. Don’t get me wrong, Aurimas is a nice guy, he just doesn’t provide the level of support that would put him on a par with his competition. Repair, test, find something wrong, rinse repeat. At the time I purchased there were a couple of prominent proponents of the printer who sang the praises of it and the support they received. I had nothing like their experience. Read the reviews at Amazon! In my case it arrived badly broken, due to barely any packaging, beyond a box and those packing nuts. To be fair Aurimas did send me a ~$20 refund for the bent threaded rods. To fix everything else I had to purchase or print parts myself. Some of the part models he did send me, or are available in Thingiverse, thankfully, but the rest I had to source from the unofficial FB group members, who have either remade or improved elements of the basic machine. You might notice in the specs I do not mention auto-levelling. That’s because the sensor I received just plain never worked properly. Others who bought with that sensor describe either the same experience or it works for them, and I understand new machines come with BLTouch type sensor. I put the bad sensor down to the company lacking the resources to do thorough QC, and sourcing the cheapest available parts. The cheapest parts extends to the electronics, which needed re-wiring (thanks to the alert FB members for rescuing us from that going badly), and eventually replacing after the magic smoke escaped. 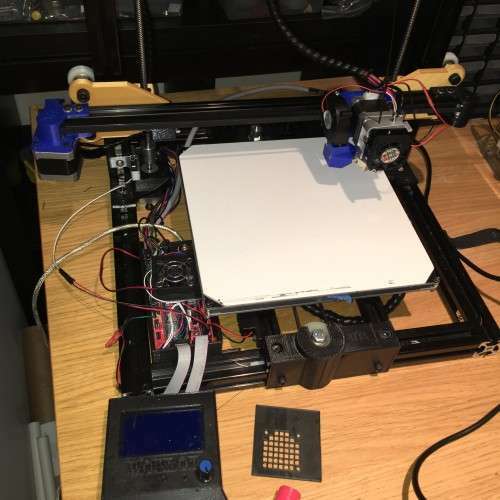 After rebuilding this “pre-built” kit over and over, I now know the printer inside out, and I now have it working consistently by abandoning auto-levelling and instead replacing the sensor with a manual z-stop switch. It’s strictly speaking not really now 100% Wombot, it’s a strange hybrid frankenprinter 🙂 For that reason, and because I am tired of people asking about it, I don’t call it a Wombot in the groups. The 250mm x 250mm bed size is great. It’s kind of an in-between size. I have just bought a Tevo Black Widow, which is a bit larger. Will be interesting how that compares. Now all the braces are replaced, the 3030 frame is convenient, and very almost rigid. I can print at around 65mm/sec without too much harm to output quality, now the broken flex couplers and bent rods are replaced. If you own a Wombot, make sure you get advice for how to improve the lines/wobble from the unofficial FB group. The fact all of the parts are sourced from Aliexpress-style merchants means everything is repairable and replaceable, and even though the design is not open source in the pure Prusa/Lulzbot sense, it is based on RepRap designs and Marlin software, so pretty straightforward. Besides, the community makes up for the lack of official enthusiasm in that regard. With my additions of Micro Swiss nozzle, Zebra plate, and 3M thermal adhesive pads, I don’t have any problem with a variety of filaments, and I do like the Mk8 style design. They are cheap enough to basically be disposable if something goes wrong. 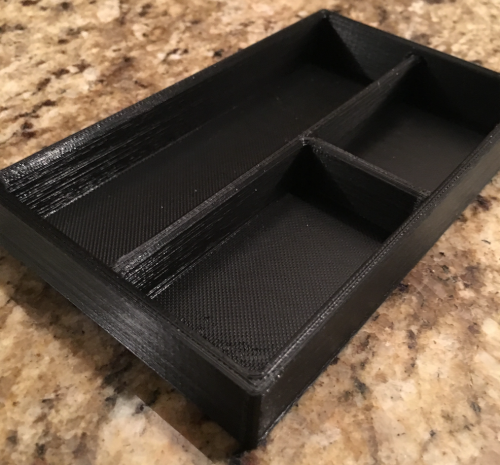 Am I happy with this printer? Now it is working, and taking into account more than 11 months of ownership, a qualified yes. Would I recommend it? On balance, no. Not because I think you will have the bad experience I did, either. As I said, other customers have had more pleasant experiences. My reasoning is there are better choices, you just need to take a look at the comparisons I made above. 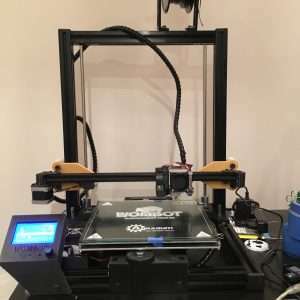 If you need a 200mm size bed then buy the Original Prusa i3 Mk2, or the Wanhao Duplicator i3, or if you want a larger bed, buy the 300mm Creality CR-10, instead.